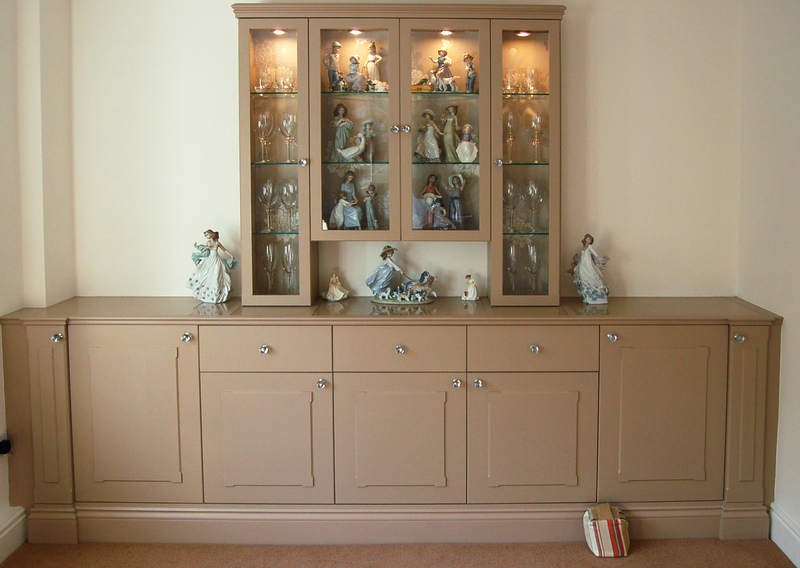 A dining room suite of hand painted furniture. 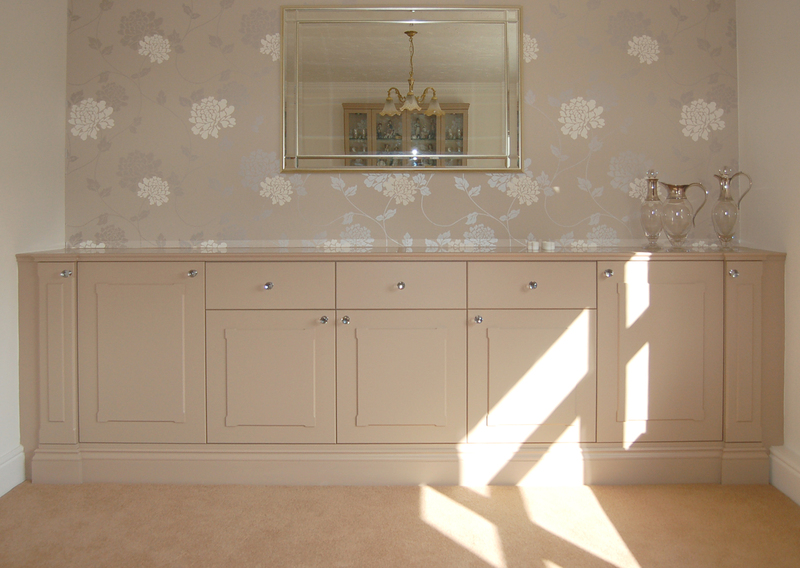 All finished in a colour to complement the interior decoration in the room. 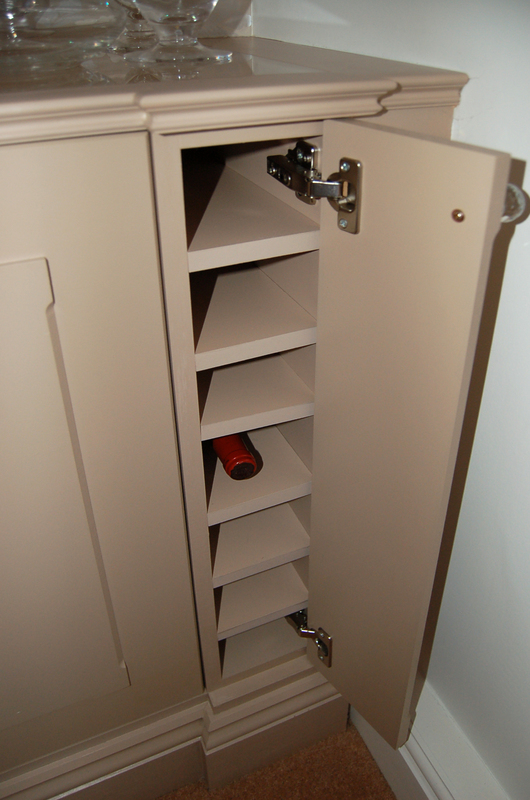 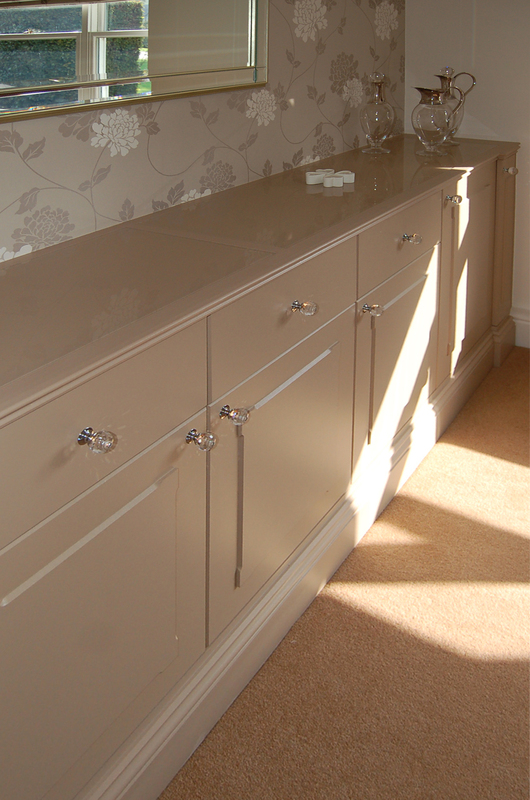 The sideboard consists of two slimline cupboards which contain ‘hidden’ wine racks, two further cupboards and three drawers with three cabinets below. 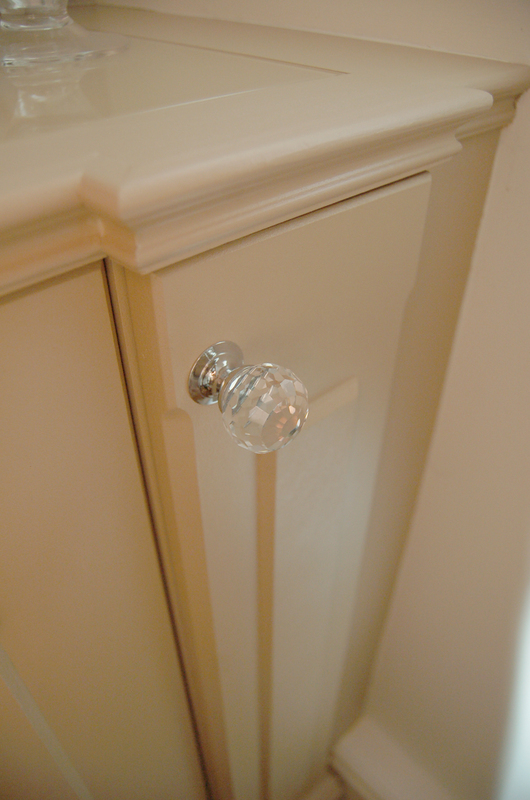 The top of the unit is in-laid with glass and with the door panelling and crystal knobs gives the unit an elegant feel. 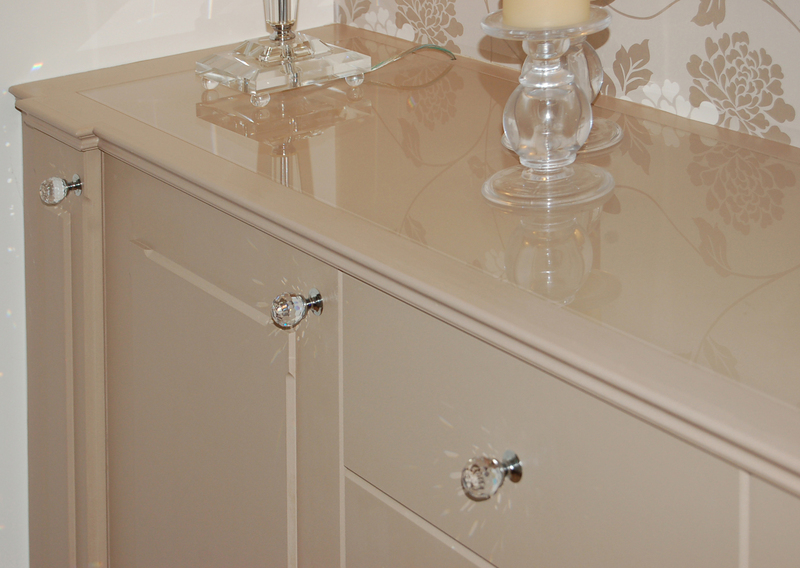 On the opposite side of the room is a mirror image sideboard with a display case sitting on top. 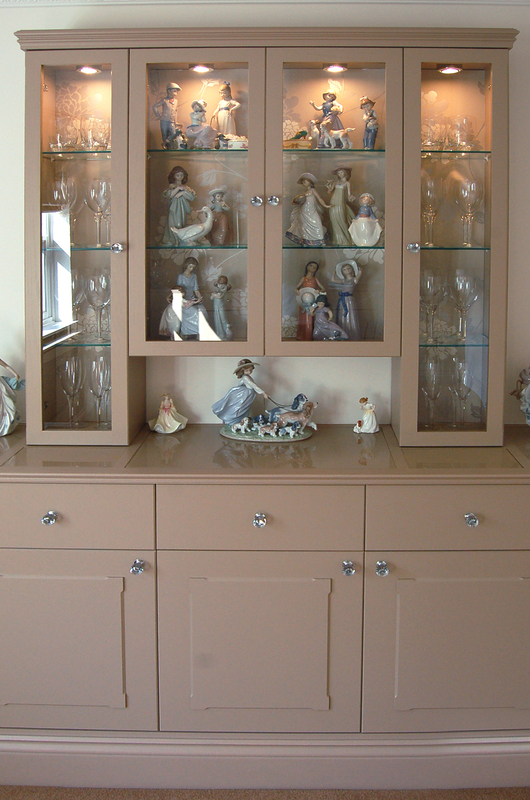 Downlighting, thin door frames, glass doors and shelving display the client’s china figures clearly and does not over power the space. 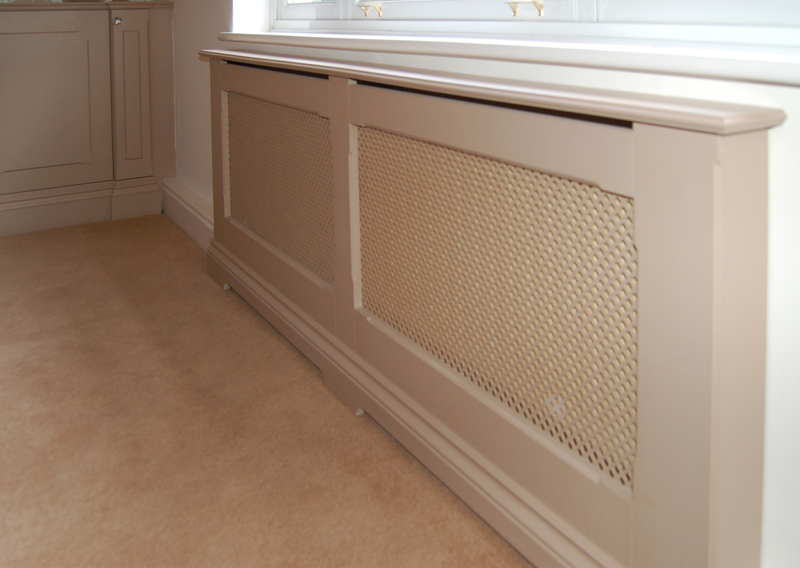 The radiator cover has been hand painted in the same colour as the two sideboards.